0 to 60 mph: 3.0 sec. 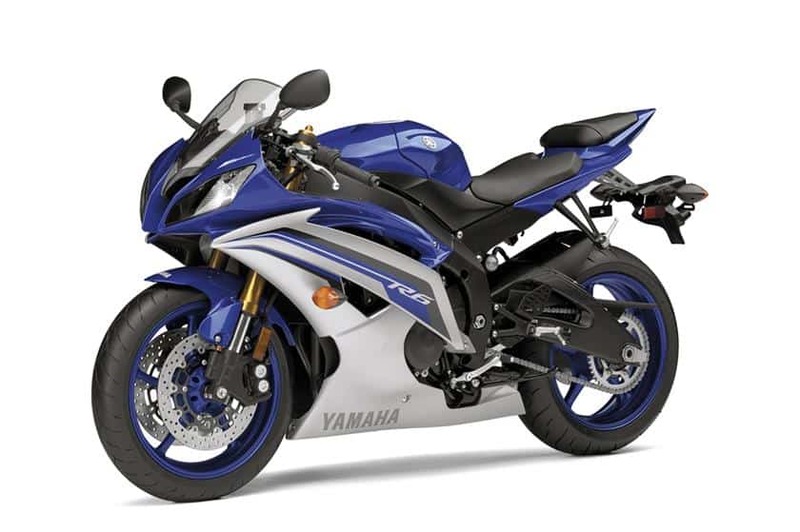 All-new, light, powerful and bristling with knowledge gained from years of racing, the YZF-R6 is the most advanced production motorcycle Yamaha—or anybody else—has ever built. 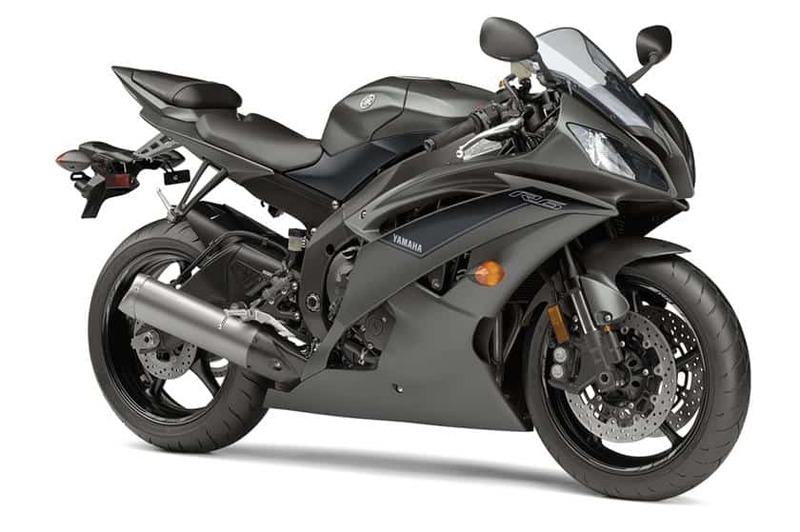 The YZF-R6 is the first production motorcycle with a fly-by-wire throttle system—for flawless response under all conditions. 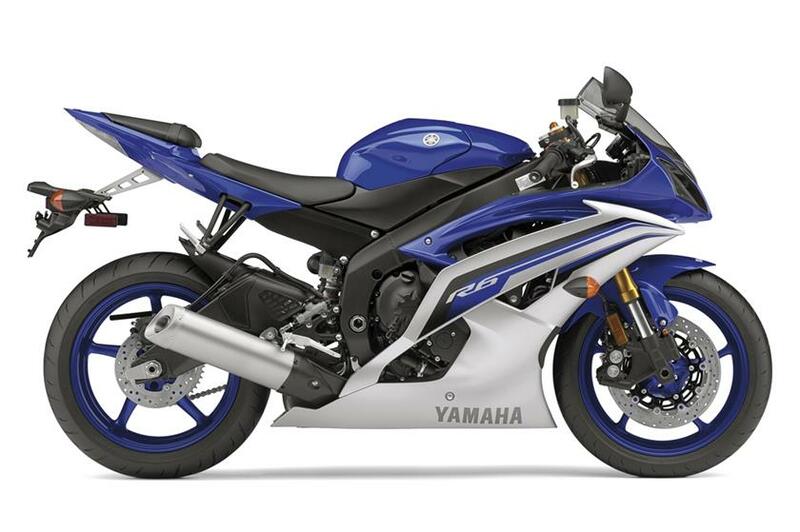 Straight frame concept: developed from the Yamaha M1 GP machine, the YZF-R6’s steering head, swingarm pivot and rear axle all lie in a straight line—for unsurpassed handling—with an all-new inline four-cylinder engine designed for optimal layout and mass centralization. Formula 1-style air management presents very small frontal area and excellent aerodynamics; new ram-air induction ducts cool, high-pressure air through the steering head for optimal combustion, more horsepower and enhanced engine cooling. 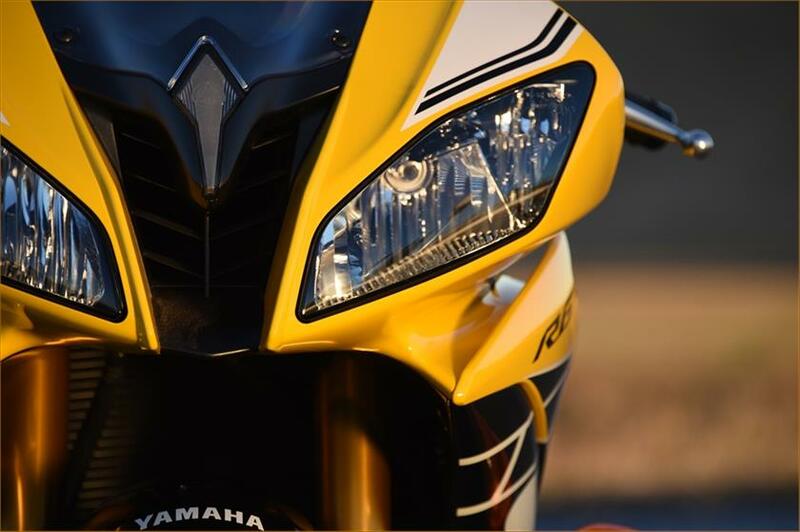 50th Anniversary Special Edition model celebrates Yamaha racing heritage with classic black and yellow livery and special badging. 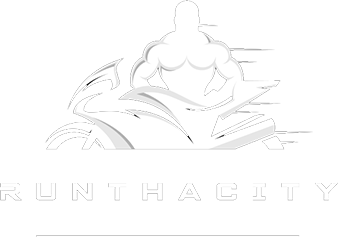 Compact, lightweight 67 x 42.5mm 599cc DOHC 16-valve liquid-cooled inline four-cylinder features titanium valves, 12.8:1 compression and compact combustion chambers to produce maximum power at 14,500 rpm—and a rev ceiling of 17,500 rpm. 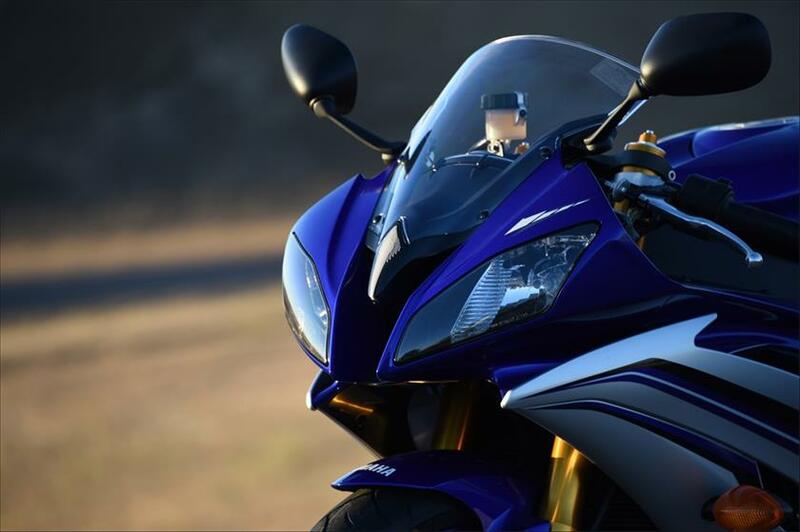 YCCT—Yamaha Chip Controlled Throttle—uses a powerful ECU and multiple sensors to provide perfect, smooth engine response and optimal power whenever the throttle is twisted, under all conditions. Back torque-limiting slipper clutch greatly facilitates braking and downshifting from high speed. Close-ratio six-speed transmission delivers seamless power and maximum acceleration. Despite the increased bore, piston and pin weight has been reduced for more power and less vibration; 1mm smaller main journals reduce friction while 1mm larger connecting rod journals increase performance. Compact slant-block engine design uses widely triangulated gearbox shafts to make the GP-derived, straight frame concept work; optimum weight distribution and excellent handling are the result. GP-style titanium muffler contributes to mass centralization, and contains EXUP, an O2 sensor and catalyzers for a broad powerband, spot-on injection and EU-3 emissions compliance. Linerless, direct-plated ceramic-composite cylinder bores mean greater heat dissipation for consistent power delivery and reduced friction—also a narrow engine. Cool magnesium valve and engine covers are light and stylish. Curved radiator with twin-ring cooling fans keeps everything cool. Direct ignition coils, dual-electrode spark plugs and highoutput magneto deliver extremely accurate, reliable firing. Quick-detach license plate holder and rear turnsignal mount makes prepping for track days or racing a snap. Built-in lap timer is controlled by a right-handlebar switch. 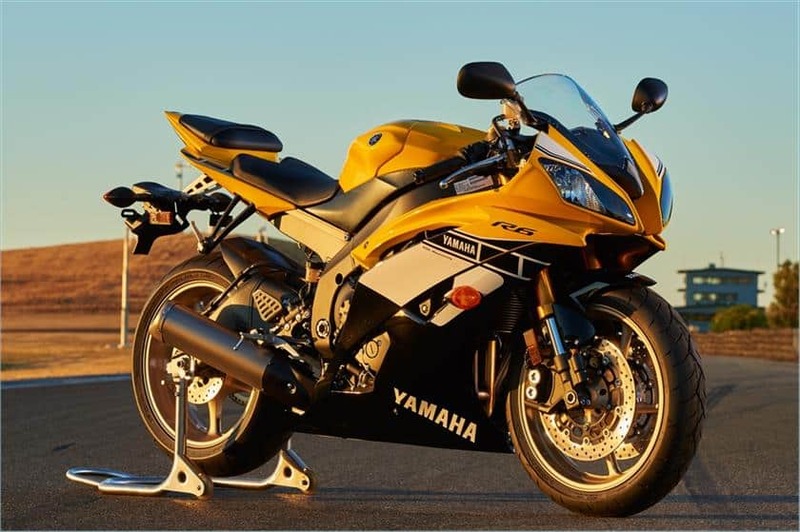 "600 cc With A Need For Speed"